Umstead State Park Archives - GetGoing NC! Winter is the honest season. Stripped bare of busy ground cover and a blurring canopy, winter is incapable of keeping a secret. Stone foundations from homesteads long abandoned lie exposed. Distant mountain peaks are revealed. Critters have nowhere to hide. It’s the perfect time to be in the woods. Especially if you head off the beaten path. Now, there are good reasons why that path is beaten. Not everyone is interested in a more raw form of adventure, fewer still are equipped. Whatever innate navigational skills our species may have had have since been relegated to the recesses of our brains in favor of more modern survival skills. Touch typing with our thumbs, for instance. Relegated, maybe, but not deleted. Every year around this time, because the woods become more open and welcoming, we rev up our GetOriented! Finding Your Way in the Woods program. We start with a basic introduction to map and compass and how to use the two in tandem. 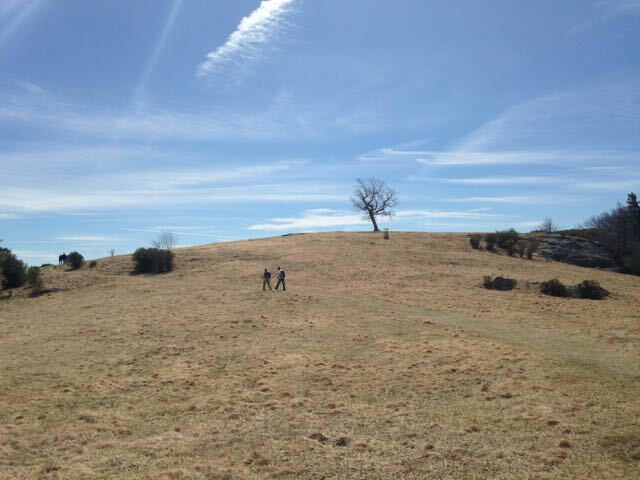 Then we head down the trail, and off, to match the imagery of wavy topo lines with the reality of a rolling landscape. At some point, those dormant navigational skills are retrieved from deep storage and our students experience an “Aha!” moment. Nothing makes sense, then — well, maybe not everything makes sense, but you can hear the tumblers fall into line. Think about a trail you hike on a regular. Your hike may vary by season, it may vary by time of day and by the weather. But you’re still walking along the same stream, climbing the same long hill, passing the same dilapidated tobacco barn and seeing the same view of the lake. Nothing wrong with this familiarity. But haven’t you ever wondered what lies beyond? At Eno River State Park in Durham, for instance, the Cox Mountain Trail is a popular hike. It involves crossing a swinging bridge, it follows a rocky stretch of the Eno, and it has some good elevation through a maturing hardwood forest. It all makes for a good hike. 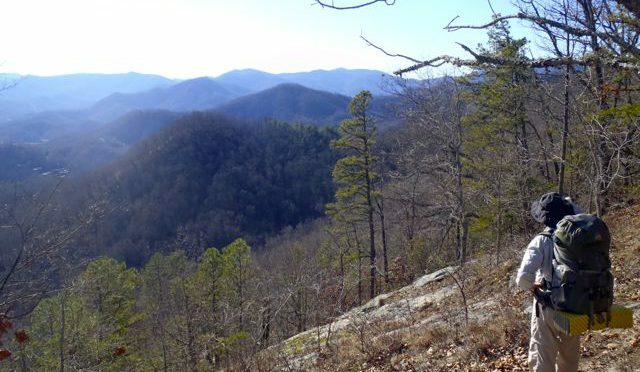 Yet when you reach the summit of Cox Mountain, you notice that, to the south, the mountain plateaus for a third of a mile or so before dropping off on three sides. From your park-issued trail map you notice what lies beyond — about 600 acres — is in the park. Since it’s parkland, you figure it’s probably pretty wild (in fact, the tract is known as the Eno Wilderness). The unknown beckons: What’s over there? At Hanging Rock State Park you hear tale of a Cessna that crashed on the mountain more than a half century ago. Where? you wonder. And, Would anything be left after more than 50 years? Sometimes you need these basic navigation skills just to find the trail. At the coast, in the Croatan National Forest near Maysville you’ll find the Weetock Trail. Well, you’ll find the northern and southern trailheads, both off NC 58, but sometimes finding the 11 miles in between can be a challenge. When blazes abandon you, a map, a compass and a basic understanding of topography can be the difference between a fund day of navigating the woods or an unplanned overnight. 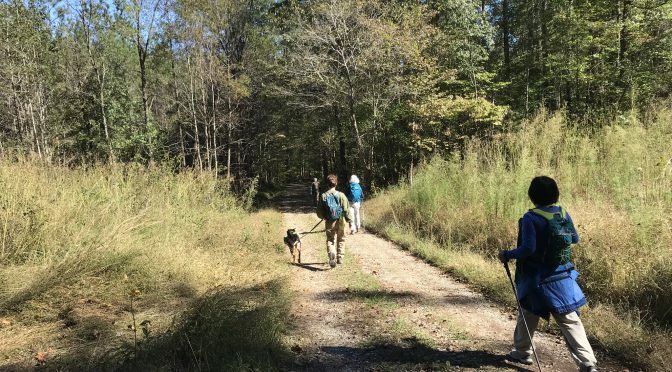 Most people who take our Finding Your Way in the Woods class do so because they simply don’t like the feeling of getting discombobulated in the outdoors. Almost all leave the class with this goal accomplished. But they also leave intrigued by what lies beyond the confines of the blazed trail, by the treasures, natural and cultural, waiting to be found. They may not be inclined to abandon the trail entirely, but they know that if something does beckon from beyond that they can venture a little ways off the trail and find their way back. Navigational skills come in especially handy in this part of the country, where our state parks and our national forests in particular are criss-crossed with long-abandoned wagon roads and cart paths. Crossing one such path in the woods it’s impossible not to wonder where it leads — and where it once led. Winter’s the ideal time to find out. There is still good fall color to be had, and based on the forecast, it’s to be had against a backdrop of crisp baby blue skies. That said, some thoughts on the weekend ahead. 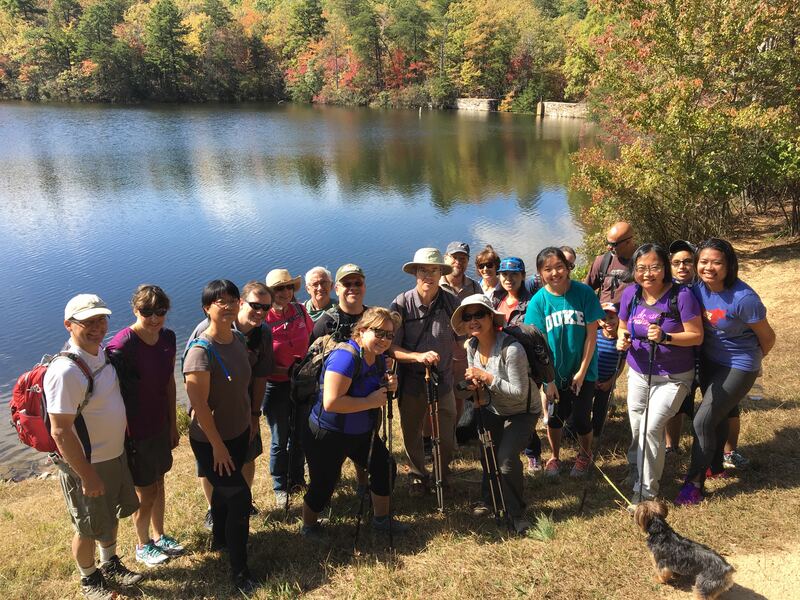 Fall Foliage Hike, Saturday, 1:30 p.m. Haw River State Park, Browns Summit. What we said above about the forecast should make the colors pop even more. Learn more here. 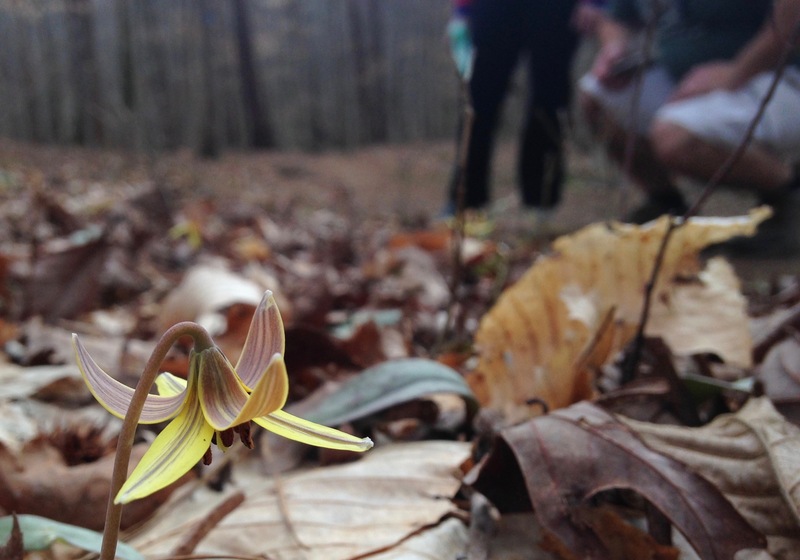 Fall Tree ID Hike, Saturday, 10:30 a.m., Stone Mountain State Park, Roaring Gap. When was the last time you slow down enough on the trail to learn a thing? Can’t recall? Then this could be the most informative half mile you’ll come across this year. Learn more here. Weymouth Goes to the Dogs!, Sunday, 3 p.m., Weymouth Woods Sandhills Nature Preserve, Southern Pines. Learn more here. Hiking a sunny trail in a 40-degree day at Umstead State Park. As we transition into spring, our hiking genes kick in. 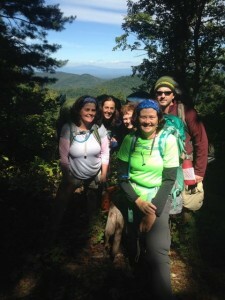 We think not only of our favorite two-hour hikes, but also of those hikes that present a greater challenge, that will prepare us for the epic mountain hikes we hope to take this summer, whether in our own Southern Appalachians or beyond. We’re all about challenges this year, and are keen on the hikes near home that offer good preparation: Lots of distance, with as much elevation as you can find near the Piedmont’s metro areas. Here’s a look at five of our favorite challenging trails. =&0=&Sections 4-7 (NC 109 to King Mountain Road/Joe Moffitt Trailhead). 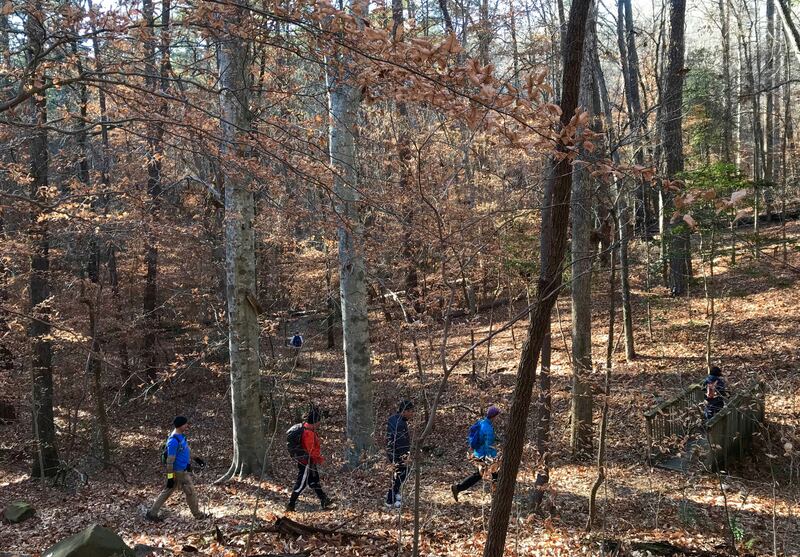 People scoff at the Uwharries — until they hike ‘em. The relic mountain range tops out at just over 1,000 feet, but located as it is in the low-lying Piedmont, that can result in climbs gaining up to 500 vertical feet in a relatively short distance. And on this particular stretch of the Uwharrie Trail, the trail is constantly going up or down. As training hikes go, this is one of the best. You can build up to the whole 11.4 miles by starting with the NC 109 to Tower Road Stretch (6.3 miles), or continuing on to the Jumping Off Rock Trailhead on Flint Hill Road (8.3 miles). This is also one of the rockier trails around. Shuttle required. This trail gets a lot of tough love from backpackers training for a trip to the high country. It doesn’t have the elevation you’ll find in the Pisgah or Nantahala national forests, but the ongoing ups and downs coupled with the distance give you a good workout and a sense of a long miles carrying weight. It’s also a scenic hike. Starting from the park’s Harrison Avenue entrance, the Company Mill Trail crests three small ridges before crossing Crabtree Creek. There, the trail loops; go left(you’ll be returning on the trail to your right) for a short walk along the river before a gradual climb of a mile or so. Cross the bike & bridle trail for more quick ups-and-downs, before transferring to the Sycamore loop at its namesake creek. More up and down and up and down on this 4-mile loop that reconnects with Company Mill for a return with — you guessed it — more ups and downs. Experienced hikers tend to shy away from Pilot Mountain in good weather because of the website warning that it can take up to 30 minutes to simply score a parking spot. That, however, is in the main lot, up top. Start from the Pinnacle Hotel Road Access at the base of the mountain and you’ll have your choice of primo spots (and a privy, too!). Start on the Mountain Trail, hiking clockwise, through some mature forest and rock outcrop as you wind your way up the mountain. At the Grindstone Trail, hang a right and then climb, climb, climb to the summit parking area. The Ledge Spring Trail (great views, check out the climbers) returns you to Grindstone, which connects to the Mountain Trail at the ranger office. From there, enjoy a comparatively mellow mile-and-a-half back to the trailhead. One of the advantages here is that on a nice day when the park’s main parking is packed, you can usually find a spot at the remote Boulders Access. 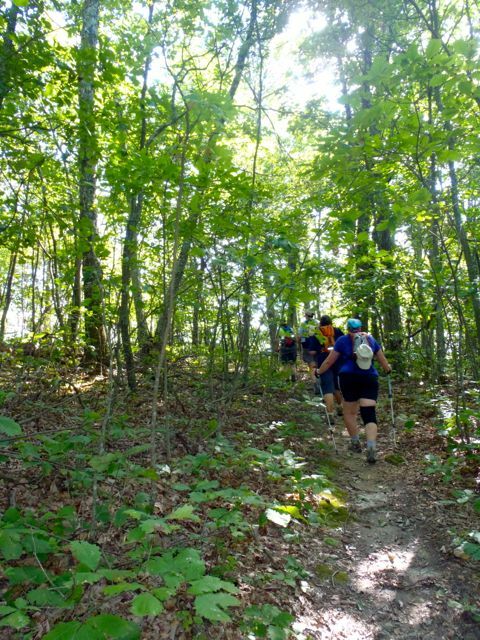 From there, take the Ridgeline Trail north over rolling Piedmont terrain to The Pinnacle. Take the spur to the summit, check out the views, return to the Pinnacle Trail and take it to the Sparrow Springs Access and Visitor Center. If you’re feeling especially ambitious, you can return to the Boulders on the Ridgeline Trail, for a roughly 15-mile day. This is a good opportunity to log miles with a weighted pack. Our favorite training hike — and yes, it’s technically a mountain hike, located as it is on the face of the Blue Ridge Escarpment. But it’s easily doable in a day from the Triad, Triangle and Charlotte, qualifying it for our purposes. Plus, it’s one of our favorite hikes. If 17 miles seems like too long a distance, consider the layout. You start from the base of the escarpment, from the Long Bottom Road Access, and climb the Cedar Ridge Trail. Cedar Ridge pulls no punches, starting with some challenging switchback climbing. But before you can say uncle, it eases up the remaining ridge to the Bluff Mountain Trail: about 95 percent of your climbing for the day is behind you. Here, go south on the Bluff Mountain Trail (also part of the Mountains-to-Sea Trail), which begins in a hemlock woods, then spends most of its time rolling through scenic mountaintop meadows. Another climb or two awaits before you hit the Flat Rock Ridge Trail, which has one short but steep climb initially, but then is a delightful long downhill back to the trailhead. One of the best circuits you’ll do all year. 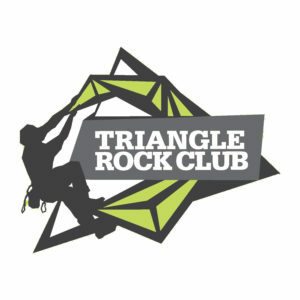 We’re planning to do several Challenge hikes this year, hikes that live up to the label of “epic.” We launched our Challenge series earlier this month with a series of training hikes that will help prepare hikers for March 10th’s Five Peaks Challenge at Hanging Rock State Park. We’re also looking at a hike in the Shining Rock area of around 15 miles in June and an end-to-end hike of the 13-mile Black Mountain Crest Trail, from Bowlen Creek to the summit of Mount Mitchell, in July. We’re also looking at a hike in the Slickrock Wilderness area of the Nantahala National Forest in late summer/early fall. We’ll announce dates for these hikes soon. If you’d like to get on our early notice list (each hike will be limited to 10 participants), drop us a line at joe@getgoingnc.com. Uwharrie Trail: “Uwharrie Lakes Region Trail Guide,” by Don Childrey (Second Edition, 2014, Earthbound Sports).